As RMIT’s principal policy adviser since 2010, Gavin researches and advises the vice-chancellor on policy relevant to RMIT and to tertiary education generally. 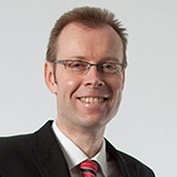 Previously Gavin was Griffith University’s principal policy adviser (2002 to 2009), head of quality and strategy and head of student administration at Victoria University of Technology (1996 to 2002), deputy executive officer of the South Australian Tertiary Admissions Centre (1994 to 1996), distance education manager and manager of the open learning project at Monash University (1989 to 1993), head of secretariat and administrative officer in student administration at Deakin University (1980 to 1989), administrator and production director at the Australian Contemporary Dance Company (1978 to 1980) and administrative assistant at the University of Melbourne (1975 to 1978). Gavin has been a sessional law teacher at Griffith University (2004-09), the University of Melbourne’s St Hilda’s College (1993) and at Deakin University (1987-89). He is a regular analyst and commentator on tertiary education issues. 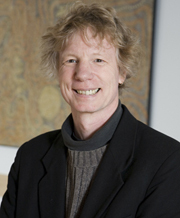 Andrew Norton is the director of the higher education program at the Grattan Institute, an independent think tank “dedicated to developing high quality public policy for Australia’s future.” Norton has worked as a policy adviser to the vice-chancellor of the University of Melbourne and as a research fellow at the Centre for Independent Studies. He has written widely on higher education, and in the late 1990s was higher education adviser to the then federal education minister, Dr David Kemp. 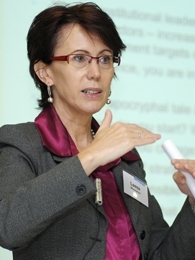 Leesa Wheelahan is Associate Professor at the LH Martin Institute for Tertiary Education Leadership and Management at the University of Melbourne. She has published widely on lifelong learning, tertiary education policy, student equity, recognition of prior learning, credit-transfer and student articulation between the sectors of post-compulsory education and training, cross-sectoral relations between the VET and higher education sectors, and the role of theoretical knowledge in curriculum. Wheelahan has taught in tertiary education for approximately 19 years, which includes time as a TAFE teacher in policy development, an academic developer at a dual-sector university and as a higher education teacher in adult and vocational education teacher preparation programs.